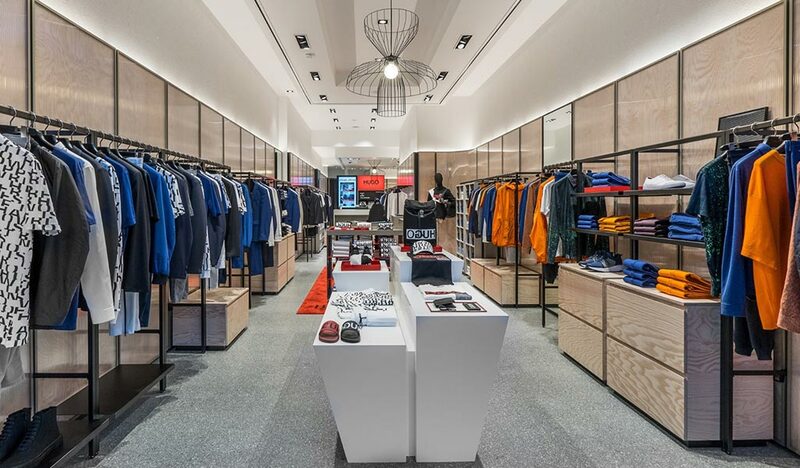 Since 2018, HUGO has been inspiring its customers with a unique store concept. 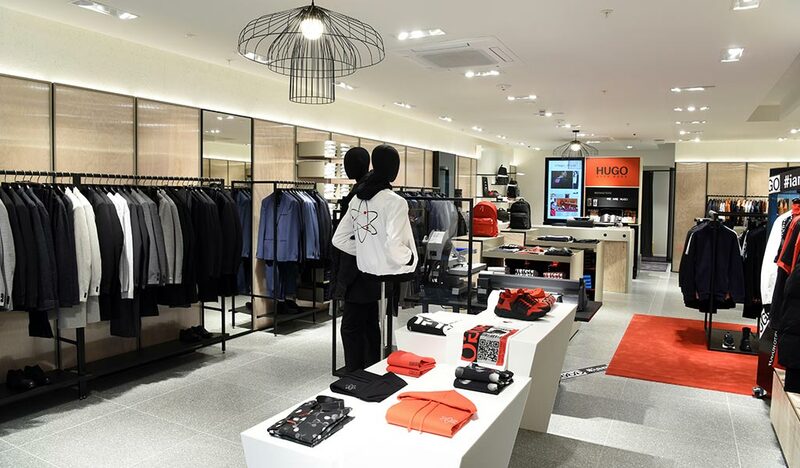 With its unconventional layout and firmly integrated social media offers, the concept speaks to the fashion-conscious, progressive HUGO customer. HUGO focuses on contemporary fashion with progressive designs and a clear fashion statement. HUGO customers are urban trendsetters and can always find progressive and unconventional styles in the stores. 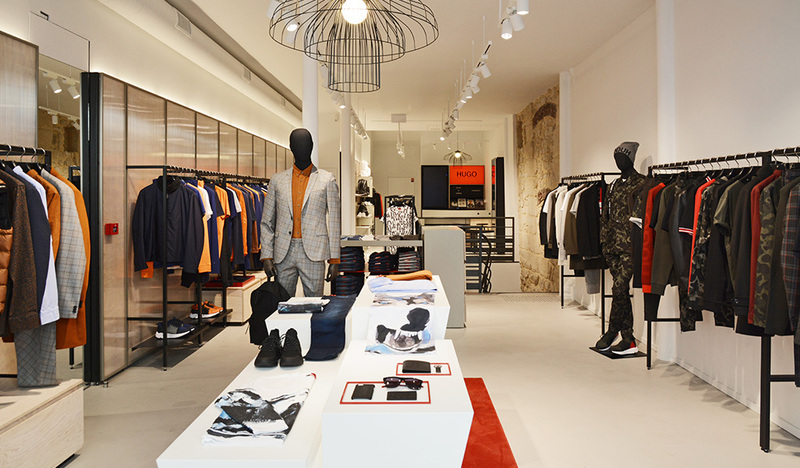 HUGO meets the needs of its customers for individuality with its personalized casualwear. The seamless integration of digital elements creates a modern and lively atmosphere. 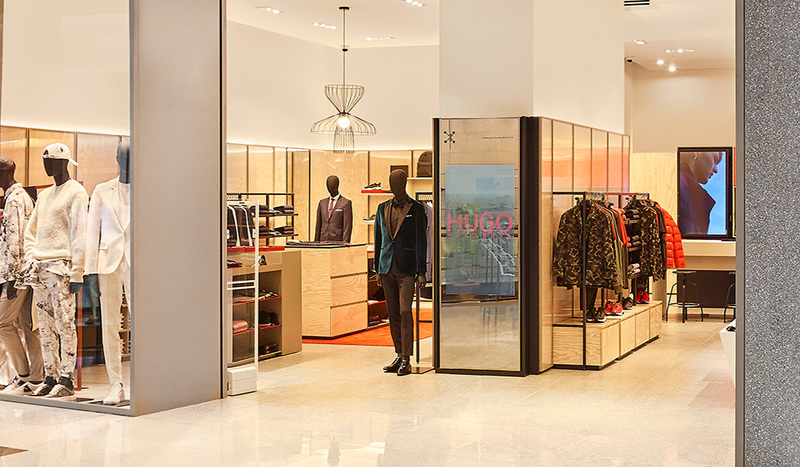 Large touchscreens, known as “shoppable kiosks”, showcase the latest campaigns and also enable customers to order sold-out styles or sizes in the HUGO online store for home delivery. 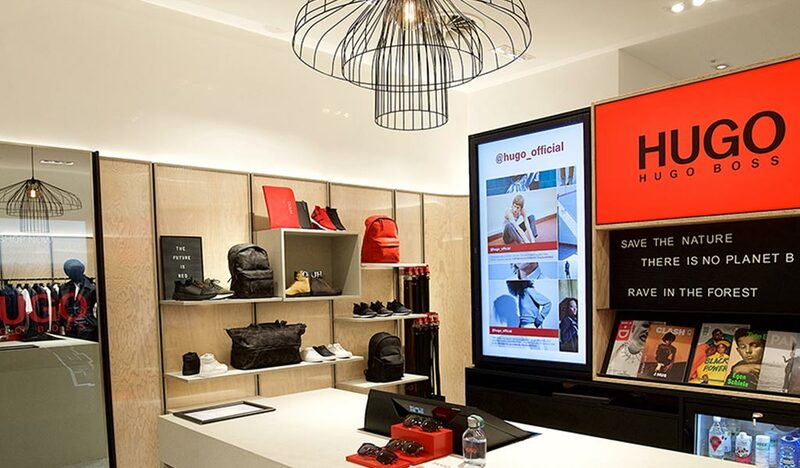 Social media elements such as the community wall enable HUGO customers to interact with the brand online. HUGO customers can purchase many of the styles advertised there directly and easily using the social media platform. This option shows how HUGO is taking account of the customers’ strong digital buying behavior. The HUGO customer has a strong social network but he also likes to meet up with his friends regularly. The HUGO store is an ideal meeting point for this, providing a relaxed atmosphere for the HUGO customers to come and chat with each other over drinks and enjoy urban music.